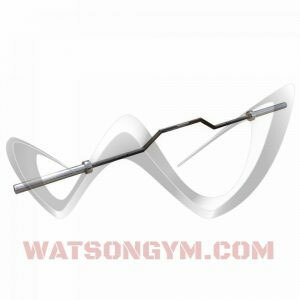 This amazing Cambered Bench Press Bar allows the user to get a far greater stretch at the bottom of the movement. The bar is also extremely useful for bent-over rows, allowing the hands to be pulled up past the level of the stomach. Long enough to fit in any Olympic Bench or Power Rack, this is the perfect bar for anyone wanting to improve their bench pressing or back work. Note: Bar comes with fixed ends, non revolving.